What a turnout! 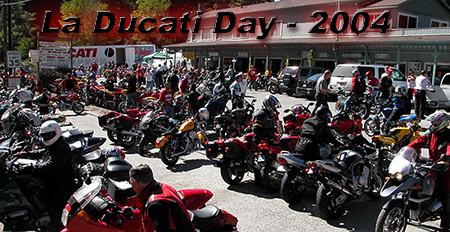 A resurrection of the old "Ducati Day" of years gone past, we made quite a go of it getting plenty of industry support along with Ducati North America for the 1st Annual "LaDucati Day" in LaHonda, CA. We managed to get more than $18000 in goods and services donated for our raffle and auction. All proceeds benefited the LaHonda Fire Brigade. The exact amount I will post once everything has been tallied up.